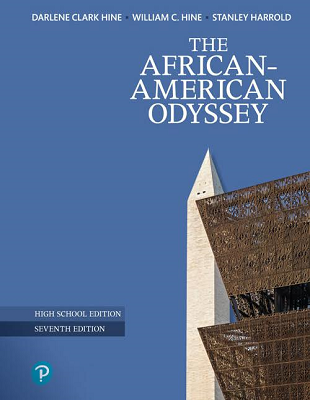 A compelling story of agency, survival, struggle, and triumph over adversity The African-American Odyssey presents a clear overview of black history within a broad social, cultural, and political framework, instilling in students an appreciation of the central place of African Americans in American history. Authors Darlene Clark Hine, William Hine, and Stanley Harrold trace the long and turbulent journey of African Americans, the rich culture they have nurtured throughout their history, and the quest for freedom through which they have sought to counter oppression and racism. 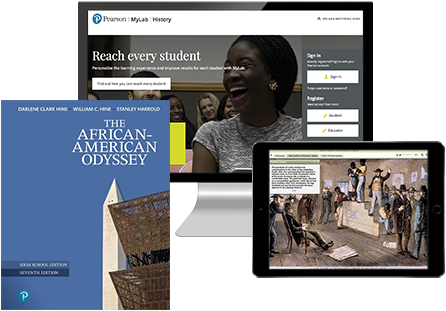 Thoroughly updated to reflect the latest scholarship, the Seventh Edition covers key events during Barack Obama’s second Presidential term, as well as the emergence of the Black Lives Matter Movement.